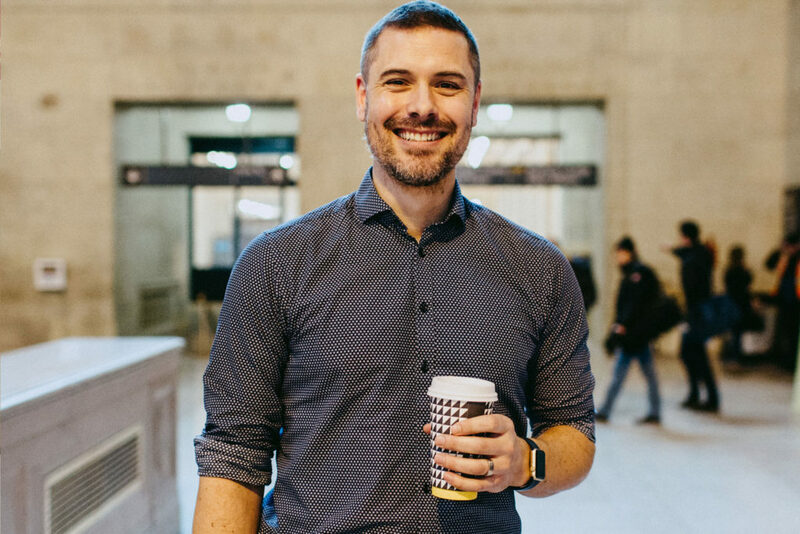 Throughout April, Union is looking at the possibilities of renewal across the station and this month we had the opportunity to talk with James Rutherford, Project Manager at DIALOG, the lead design firm, for the Union Station retail development project. Union: What do you do at Union? Union: What’s the best way to spend one weekend in Toronto? JR: Toronto has amazing sports teams, my ideal weekend would include a Raptors, Leafs, TFC, Argos or Jays game is schedules align. I’d start with a meal in the York Street Promenade at Union Station, Amano Pasta is my favourite and then a trip to Ripley’s or a walk northbound towards the grounds surrounding Queen’s Park. Union: What’s the most memorable experience you’ve had on a train? Union: What’s one interesting fact that might surprise people who visit Union? Union: Name someone in Toronto who should get more attention for his/her work in making the city a great place to live? Union: James, what are your thoughts on the revitalization of historical buildings and what this means for Union Station? Adaptive Reuse – Giving new purpose to older buildings and public infrastructure, often with an industrial past, to meet the needs of a changing demographic. These projects have the power to transform whole communities. Energy Focused Regeneration – Upgrading mid to late 20th century buildings in the commercial centres of major cities throughout North America to meet the sustainability standards highly desired by building owners and tenants. Projects opportunities range from complete reskinning – taking a building down to its bones – to simpler energy retrofits. RelevantRevival – Bringing new relevance to existing buildings, already embedded in their communities and serving important purposes, but requiring new approaches to meet the needs of its community. Often integral infrastructure. This is a great example of what we’re doing at Union.